• Fighting cancer and diabetes. • Helping you lose weight. • Increasing your metabolic rate, (a positive benefit for promoting normal thyroid function). • Helping you maintain normal cholesterol and triglyceride levels. • Enhancing your immune system. There are two types of fats that are essential for your health: Omega-3 and Omega-6 fatty acids. The typical western diet is overloaded with Omega-6’s and deficient in Omega-3’s, upsetting a critical balance. Meat, eggs, and dairy products from pastured animals are ideal for your health. Compared with commercial products, they offer you more Omega-3’s and fewer Omega-6’s. Pastured meats (beef, pork, chicken, eggs, dairy, etc.) are richer in antioxidants, vitamins E and C, and beta-carotene. Furthermore, they do not contain traces of added hormones, antibiotics, or other drugs. There are a number of nutritional differences between the meat of pasture-raised and feedlot-raised animals. To begin with, meat from grass-fed cattle, sheep, and bison is lower in total fat. If the meat is very lean, it can have one third as much fat as a similar cut from a grain-fed animal. See the graph below. It is richer in conjugated linoleic acid (CLA), which reduces fat, increases lean muscle mass, reduces risk of diabetes, reverses arteriosclerosis, and is a very important defense against cancer. 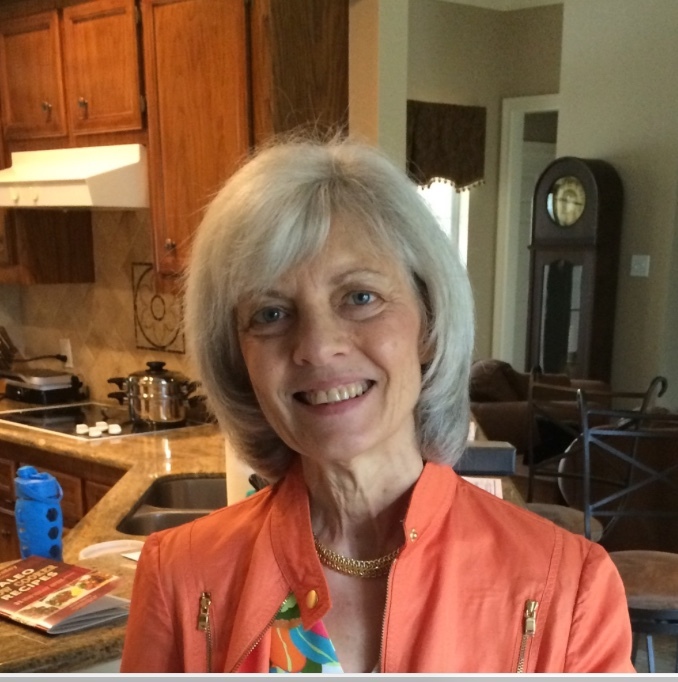 In laboratory animals, a very small percentage of CLA greatly reduced tumor growth. Grass-fed meat is lower in fat and calories; is richer in calcium, magnesium, potassium, and the B vitamins thiamin and riboflavin; has less dangerous bacteria, including e-coli; has less arsenic; is better for heart health; has less exposure to farm chemicals that result in disease; and contains no “by-product feed stuffs,” which is literally food waste, or garbage (see paragraph below). Here is a new wrinkle for your brain (a term you need to know): “by-product feed stuffs.” Fresh pasture and dried grasses are the natural diet of all ruminant animals. In factory farms, however, animals are switched to an unnatural diet based on corn and soy. (Can you say, “genetically modified and poisonous pesticide sprayed”? Yuk! The exception to this bad kind of soy is fermented soy, which is okay.) But corn and soy are not the only ingredients in their “balanced rations.” Many large-scale dairy farmers and feedlot operators save money by feeding the cows “by-product feed stuffs” as well. Almost half the meat and poultry (47%) sold in the U. S. is likely to be contaminated by the highly-dangerous bacterium staphylococcus (“Staph”), not one of the bacteria routinely tested by the U. S. government and one that is resistant to so many different antibiotics and so is difficult to treat. (Scientific journal Clinical Infectious Diseases).The deadliest form of E. coli is more common than originally thought. Fortunately, grass-fed animals are much less likely to transmit the disease (they get to run in the sun). A study from the National Academy of Sciences reports that as many as one out of every three cattle may play host to the deadliest strain of E. coli bacteria. This is ten times higher than earlier estimates! Convinced Yet to Eat Pastured? French researcher Gerard Ailhaud said, “Omega-6 is like a fat-producing bomb,” commenting on the results of a new study showing that mice fed the amount of Omega-6 fatty acid present in the modern western diet grow fatter and fatter with each succeeding generation. 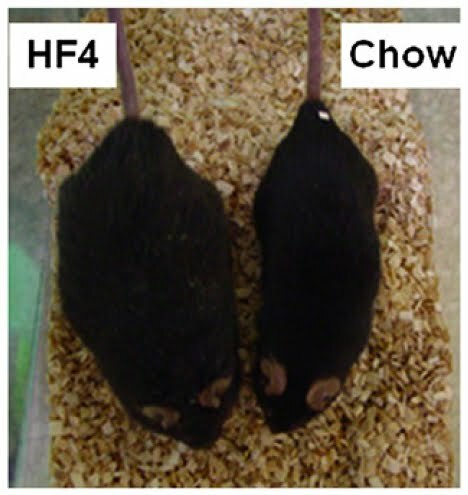 In the picture shown, the mouse on the left was raised on high levels of Omega-6 fatty acids and low levels of Omega-3 fatty acids typical of the American diet. In addition to being grossly overweight, the mouse on the left has the warning signs of diabetes. 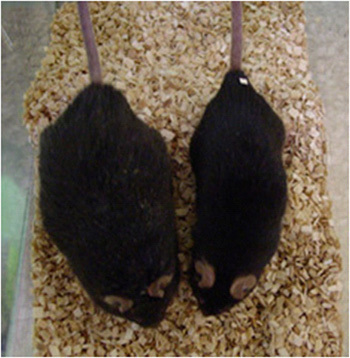 The healthy mouse on the right was raised on standard mouse chow. The two mice got equal amounts of exercise. The mice are the fourth generation to be raised on the two types of diet. Omega-6 fatty acids are essential for health; but the amount consumed by most Americans increases the risk of obesity, diabetes, inflammatory diseases, and cancer. Pastured and Pasture-Finished are Two Different Animals! 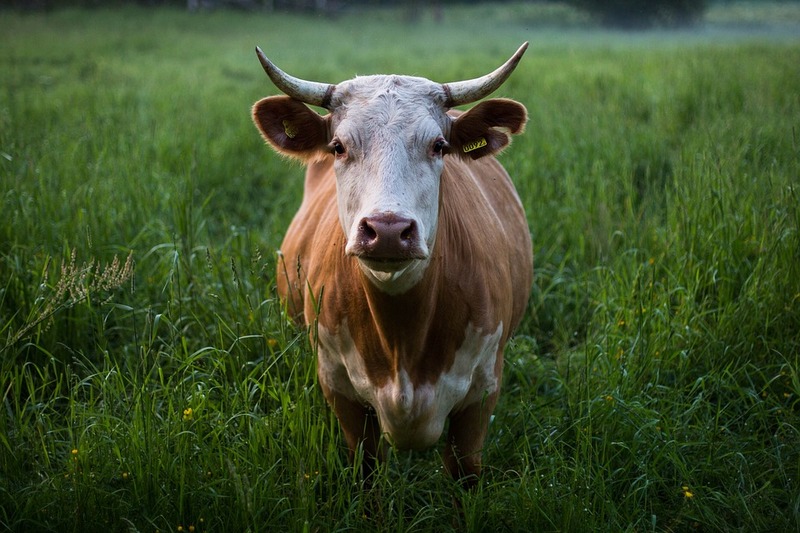 Keep in mind that the term “pastured” and “pasture finished” are two different animals! The definition of grass fed is vague; like the term natural, it is abused and so doesn’t mean much. The rules around it are still somewhat undefined. So make sure to buy meat that says “pasture finished,” “100% pastured,” or “grass finished” (not just “grass fed”) on the label. The grass-fed label is currently unregulated and can be used for animals that were fattened on grains in the final weeks before processing. The only way to really know about the quality of your food is to know the source of it and to know their practices. So buy from local farmers when possible and ask the important questions. What chemicals or fertilizers are put on the grass that the animals eat? Are the animals ever fed antibiotics or hormones of any kind? Are the animals fed only grass during their lifetime and not only during grass growing seasons? “Certified” grass-fed.. Does It Matter? Remember, grass-fed meat doesn’t have to be “certified” grass-fed for it to give you the health benefits listed above, but it’s a great plus. Keep in mind also that grass-fed meat is almost always preferable to certified organic meat because most organic beef is fed organic corn. Cows, etc. were not meant to eat corn, which is what causes the myriad of health problems associated with eating beef. If you can find organic, grass-fed meat, that would be ideal. Most people have farmers’ markets fairly close by. Ask them about their philosophy and feeding and growing practices. There are good resources online, such as www.grassfednetwork.com and many more. Given all these benefits stated here, it would definitely be worth your effort to find a local source of grass-fed (grass-finished) meat.